Dental Injury? In Pain? Come See Your Emergency Dentist in Metairie! At “best”, a dental injury is just annoying. At worst, it’s extremely painful and does tremendous damage to your smile. In either case, you should seek out care as quickly as possible to both relieve your pain and prevent the issue from getting much worse. If you or a loved one ever experience a dental emergency, you can always rely on Nelson Dental Care to be there. When you call us with an emergency, we’ll make an appointment to see you as soon as possible, preferably the same day. Our helpful team will even walk you through basic first-aid to help you handle the situation before you can come see us. Once you make it to our office, you won’t sit in the waiting room—we’ll immediately bring you back to a treatment room so trusted dentist Dr. James R. Nelson can get to work saving your smile. Most of the time, we can complete an emergency treatment in just one visit, but if we can’t, we’ll be sure to take away your pain and schedule a quick follow-up appointment. In the end, no matter your emergency, we’ll work hard to make sure that you’re smiling on the other side. Hopefully, you’ll never experience a dental emergency, but if you do, you now have a plan: call Nelson Dental Care. We’ll provide the fast and effective care you need so that your emergency will quickly turn into a distant memory. If you’d like to learn more about how to handle a dental emergency or how to avoid one altogether, please contact our office today. 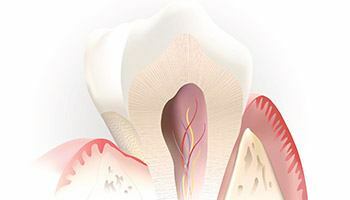 A root canal is typically used to treat a tooth that has damage or an infection deep within its innermost chamber where the sensitive nerve resides. Despite what you may have heard in the past, it is in fact NOT an extremely painful procedure. Thanks to modern dental techniques, most of our patients actually say it feels very similar to getting a small filling. In truth, a root canal is actually one of the best tools we have to RELIVE severe dental pain and save teeth that would otherwise need to be removed. 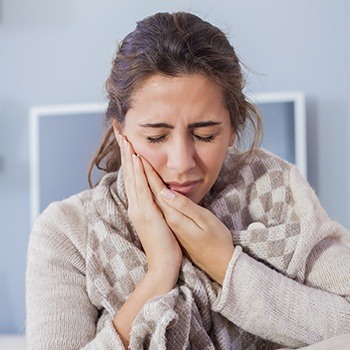 If you’re suffering from a severe toothache, it’s often the best way to treat it!